Puppy love! 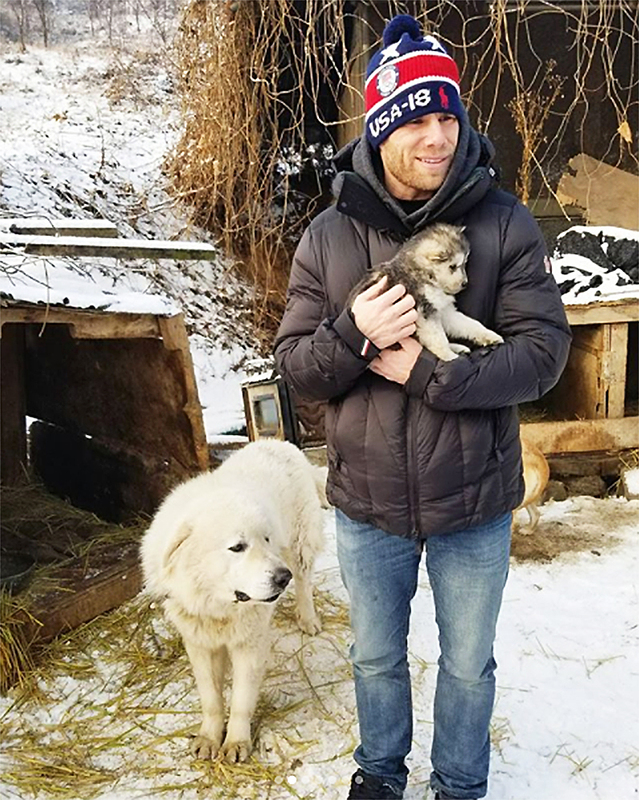 Gus Kenworthy adopted a puppy from a dog farm in PyeongChang, South Korea, while he’s there for the 2018 Winter Olympics! 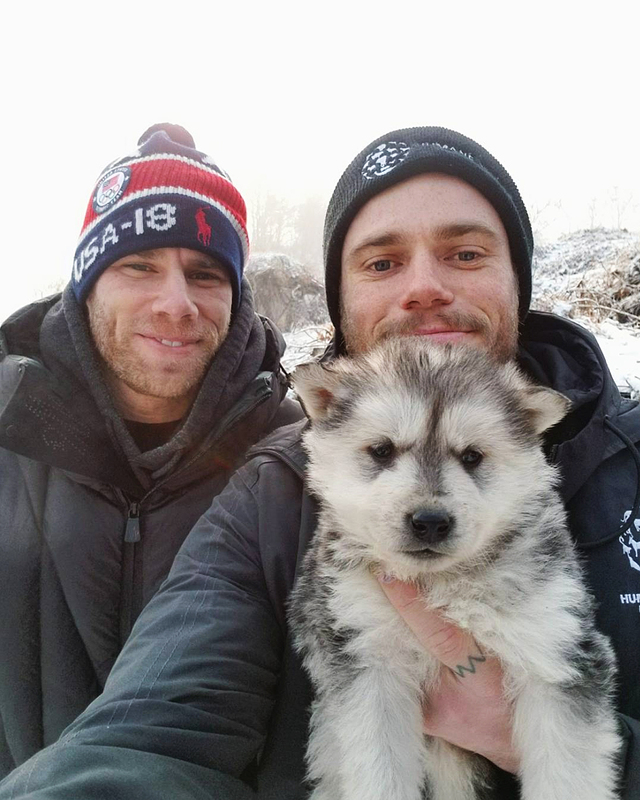 The freestyle skier, 26, shared a photo of himself with his boyfriend, Matthew Wilkas, on Instagram on Friday, February 23, to reveal that he had fallen for a puppy named Beemo and will be taking her home after the games. The Head & Shoulders ambassador also shared his observations from their visit, claiming that the animals were malnourished, physically abused, crammed into tiny wire-floored pens, exposed to extreme weather conditions and were cruelly executed by electrocution in front of the other dogs. The dog farm the couple visited is being permanently shut down and the athlete revealed that the 90 dogs found there will be brought to the U.S. and Canada and placed in loving homes. As previously reported, Kenworthy returned home from the 2014 Winter Olympics in Sochi, Russia, with a litter of puppies. The skier and his then-boyfriend, Robin Macdonald, stayed in Sochi for more than a month after the Olympics ended so that the athlete could rescue four stray puppies and their mother. One dog died before the couple left, and another died shortly after arriving in New York City. Kenworthy and his mother continue to care for the mother, Mamuchka, while her pups Jake and Mishka live with Macdonald in Vancouver.